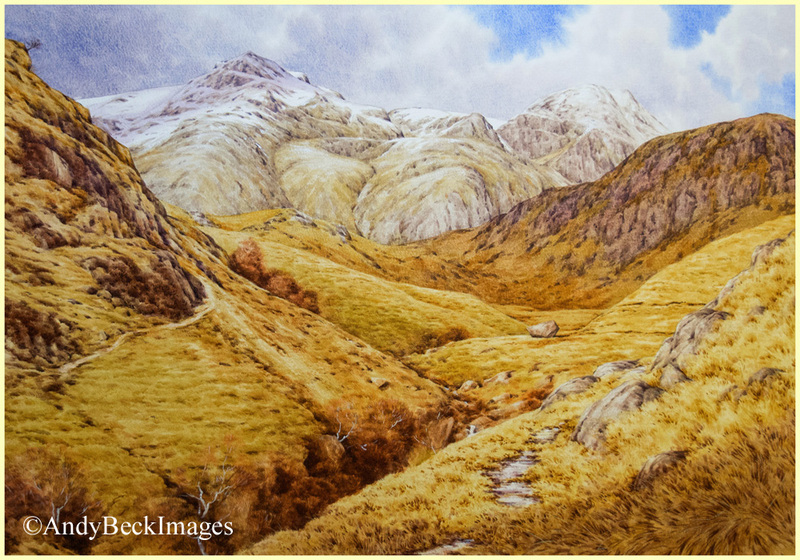 One of the elements of the Wainwrights in Colour project which I feel makes it so special is the fact that none of the sketches will be copied or made into prints. They are either originals hanging in customers homes or in the soon to be published book. However, I am excited to announce that there are now two very special images which are part of the book that are being published as a Limited Edition of only 214 copies each. 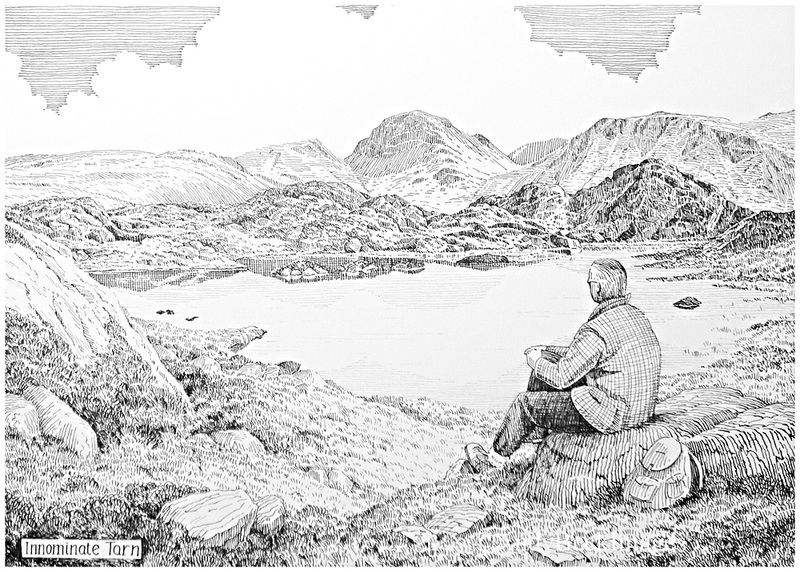 They are “Scafell Pike from the gorge of the Esk” which features on the front cover of the book and “Innominate Tarn”, a pen and ink drawing produced by me in the style of Wainwright to illustrate his way of producing those wonderful sketches which will also feature in the book. The prints have been produced to the highest possible standard using light fast inks and each has been personally checked, numbered and signed by me. I have decided to offer both of these prints as an exclusive package with the first 214 numbered copies of the Wainwrights in Colour Book where the prints and book will have matching numbers. Taken from my original watercolour. Image size: 370mm x 530mm. Overall size: 430mm x 590mm. Signed and numbered by the artist. Limited to 214 copies complete with certificate of authenticity. Unmounted print. (Image shown has been reduced in quality for online purposes.) This image features as the illustration on the front cover of the book. Taken from my pen and ink drawing after A.Wainwright. Image size: 250mm x 355mm. Overall size: 310mm x 415mm. Signed and numbered by the artist. Limited to 214 copies complete with certificate of authenticity. Unmounted print. (Image shown has been reduced in quality for online purposes.) This image features within the book to illustrate AW’s method of working. The exclusive package of the two limited edition prints and book all matching in edition number is now available for the total cost of £160 including P&P . Wherever possible I will try to fulfill requests for special numbers but due to demand this may not always be possible.